As record low interest rates continue, should you get onto the property ladder sooner rather than later? We are now familiar with the headline ‘Bank of England keeps interest rates at record low of 0.5%’, in fact it’s been the same story since March 2009, some 68 months ago. But with this news comes a greater responsibility for the buyer. Here the UK’s leading independent mortgage broker, Mortgage Advice Bureau, explores how the prolonged interest rates could mean that sooner could be a better time to buy than later. In a survey by the Money Advice Service, 69% of people said that they did not have a plan for when interest rates do eventually rise despite 84% thinking that an increase would have an impact on their finances. But right now, homeowners and prospective buyers have other things on their minds as they have been presented with an opportunity to obtain some extremely cheap mortgages as a result of the Bank of England’s decision to delay the rate rise. “The new lower rates come as a result of the UK’s low inflation levels, the stagnation of the Eurozone and the slowing of the national housing market. The aftermath of the introduction of the Mortgage Market Review (MMR) also seems to have calmed as lenders begin to try and meet their yearly targets – hence the wave of lower rates – with some deals falling as low as 1.49%,” said David Treharne from Mortgage Advice Bureau. Existing homeowners who do decide to take advantage of the current low rates need to consider the penalties that come with exiting their current deal. Many lenders will enforce fees and charges. Under the newer mortgage rules, application timescales are also longer than before, so homeowners will need to ensure that they are financially prepared for a lengthier process. “Deciding when to take out a mortgage is always going to be a risk. The low rates that are with us at the moment may stay with us for a while, but there is a greater chance of them disappearing as quickly as they appeared. With the rise of interest rates being a popular topic for debate and opinions frequently changing, it is important to get advice from a professional mortgage adviser when discussing your next steps,” concluded David. 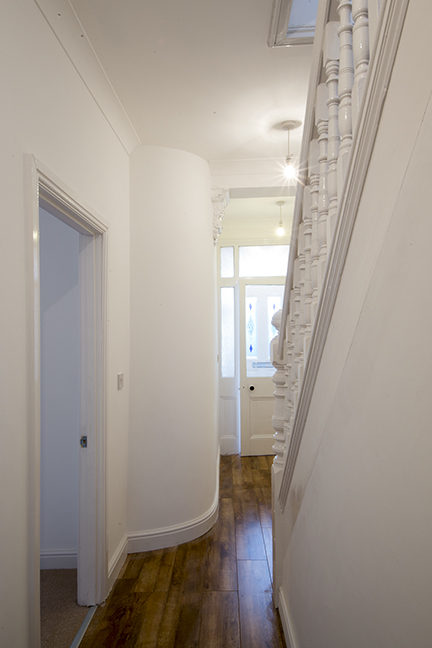 It is a property transformation which would look perfectly at home on the BBC’s popular Homes Under The Hammer programme. Number 12, Victoria Road in Gowerton – sold at auction by Dawsons Property and now on the market again with the same estate agents – has gone through an impressive make-over from run down, uninhabitable shell to a sought-after family home which has been renovated to an impressively high spec. When developers John Stait and Co bid successfully for the end-of-terrace house at Dawson’s auction they paid £70,000. 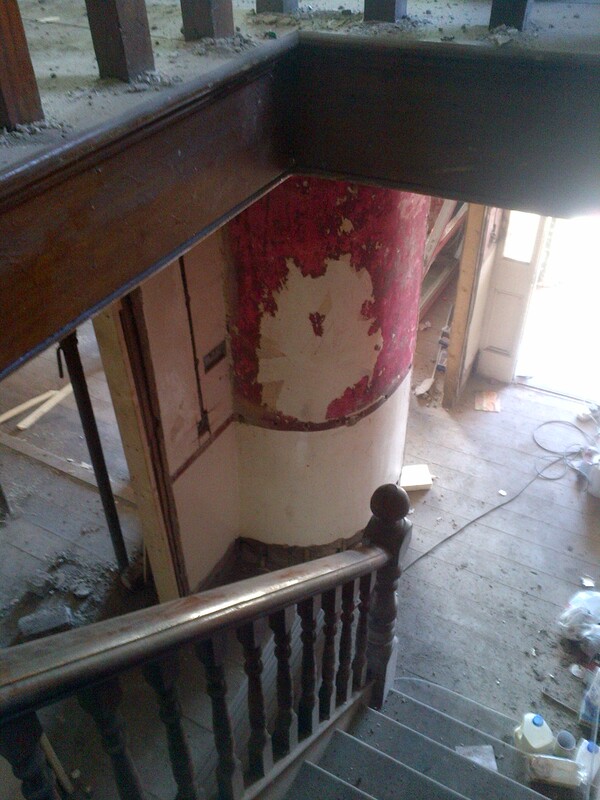 To the untrained eye, the sellers looked like they may have achieved a good sale price because the three bedroom property was in a state of disrepair. The wall was coming down in the master bedroom, the kitchen was literally under the stairs and the garden and drive were overrun by eight feet high brambles. Jason Applin, the project manager at Number 12, a seasoned developer, admitted it was one of his more challenging projects. 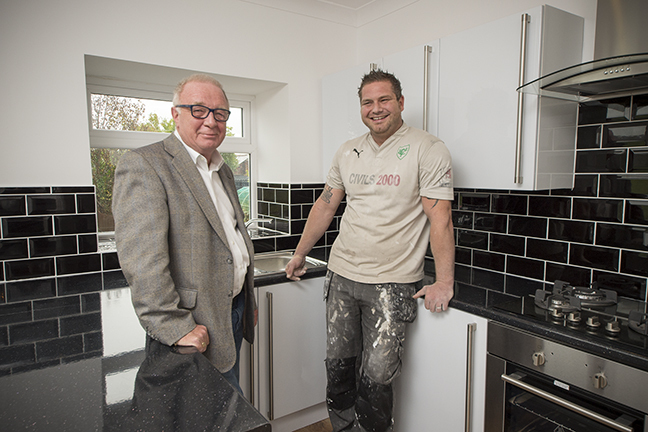 “It had to be gutted; taken right back to the bones – it needed a total rewire, the plumbing need a complete overhaul and the rendering and plastering had to be redone,” he said. “Not only were some of the walls unstable but there were other things we had to overcome. For instance you had to go through the third bedroom to get to the bathroom. So much so that Dawsons have put the house on the market for £145,000. “When you take on a property like Victoria Road you have to have a real vision for the renovation and we pride ourselves in turning around properties such as this one,” explained Richard Stait, director of John Stait and Co.
Richard says that the process in the case of Number 12 has been helped by their relationship with Dawsons from auctioneer through to vendor. 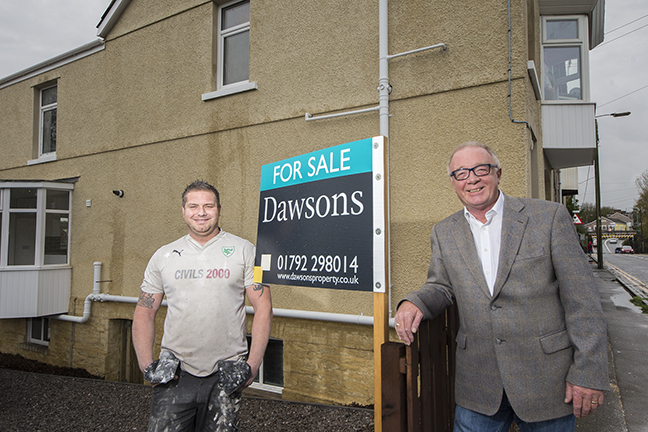 Dawsons have noticed a continuing trend towards buying at auction both from professional and amateur developers. 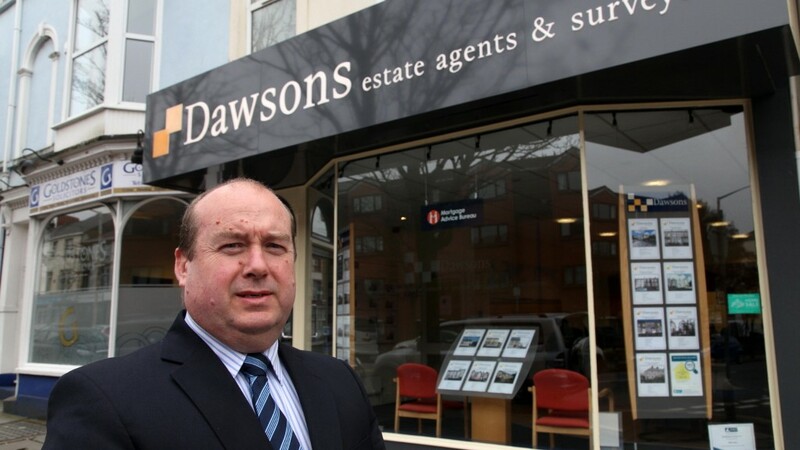 “Buying and selling at the Dawson’s auction has become more and more popular over the last couple of years. It has become a real growth market,” said Julie Lawry Auction Manager at Dawsons. “We have noticed a trend where the typical purchaser is now an amateur investor looking for an initial ‘buy to let’ property to finance a long term pension scheme. These purchasers are now competing with the professional investors creating competitive prices in the auction room.